SUD10 Portable Ultrasonic Flaw Detector is a portable, microprocessor-based instrument suitable for both workshop and field use. 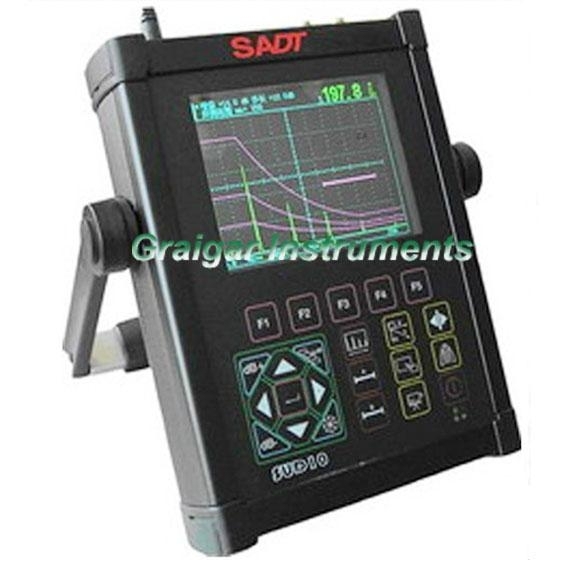 SUD10 is integrated with international advanced digital integration and new EL display technology, is a smart Digital Ultrasonic Flaw Detector propelled by SADT. SUD10 has almost all functions to meet requirements of professional application for non-destructive testing. · Big memory of 300 A graph and 30000 thickness value. One year warranty, battery not included.